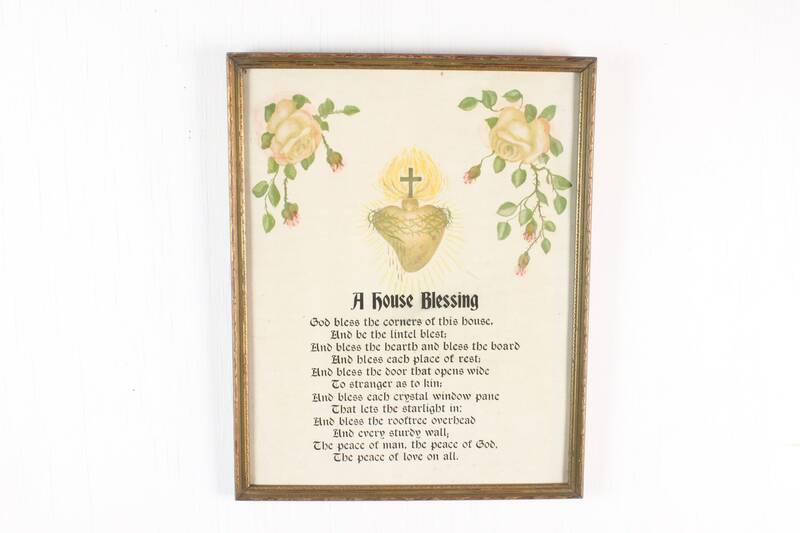 This amazing antique home blessing is in near mint condition! 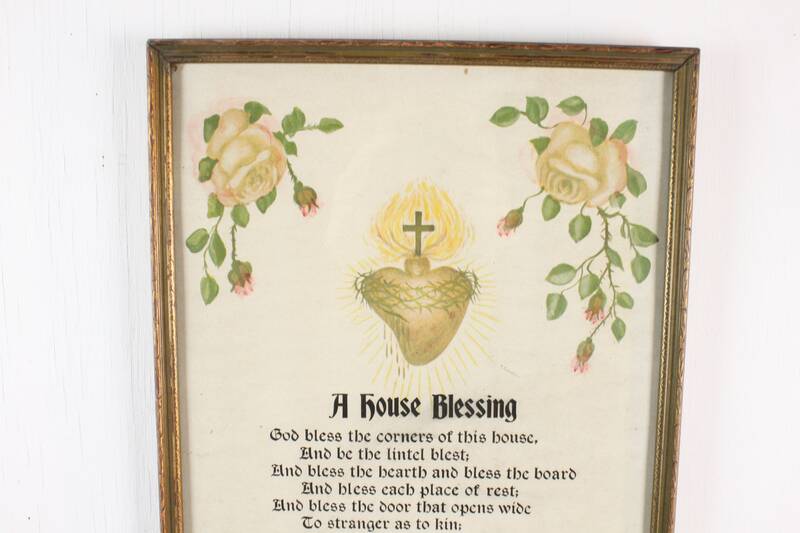 This exquisitely made piece of religious art features the classic image of the sacred heart wreathed in pink roses. 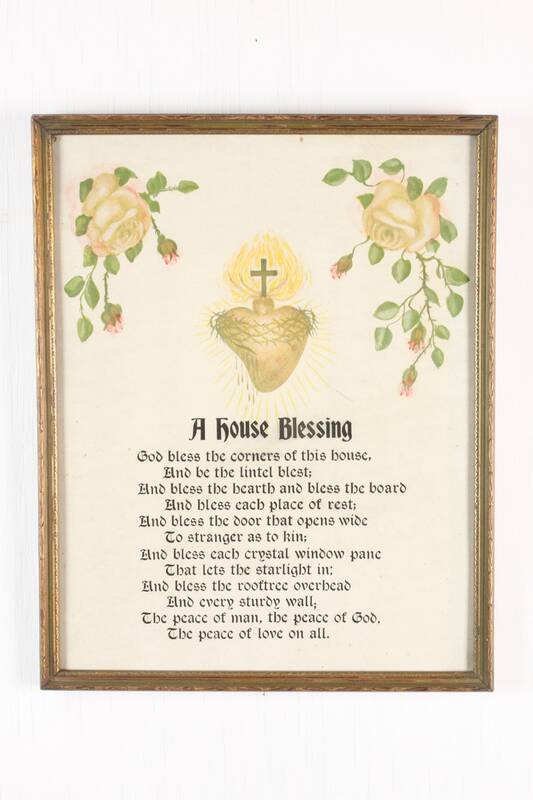 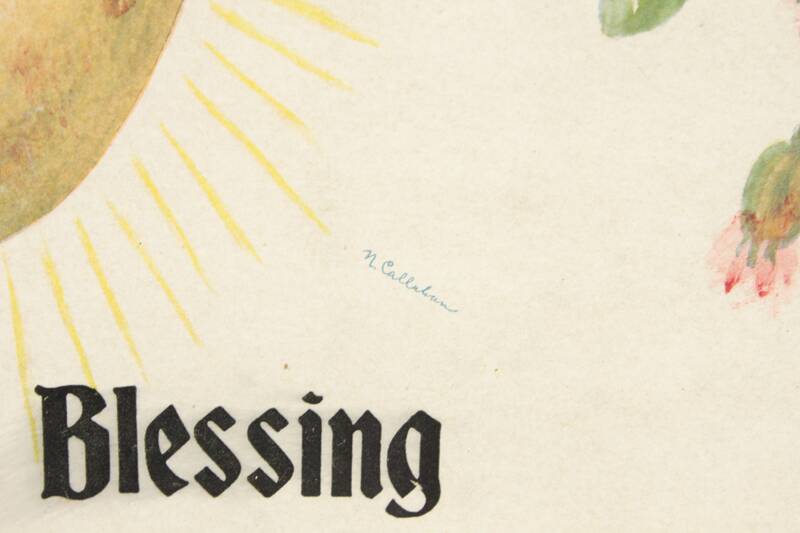 Underneath the imagery is a traditional Irish blessing, "God Bless the Corners of this House", - unknown authorship. 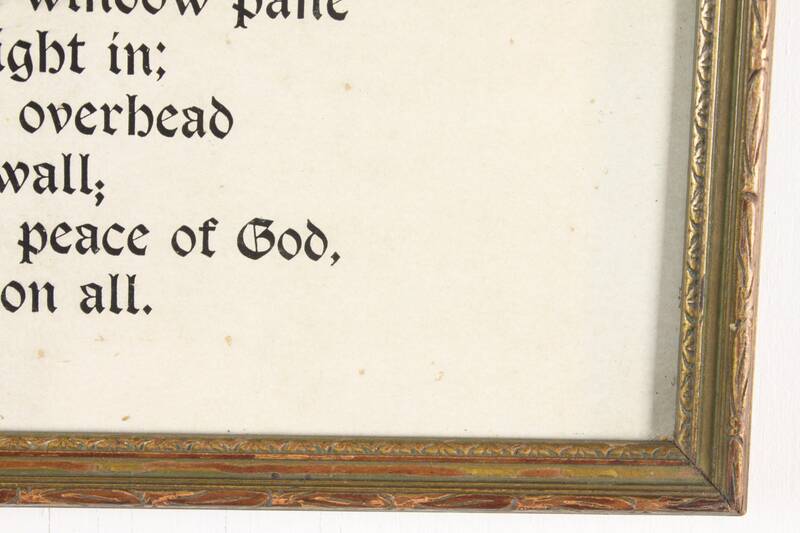 The text is presented in a clean gothic text and the image is signed "N. Callahan". 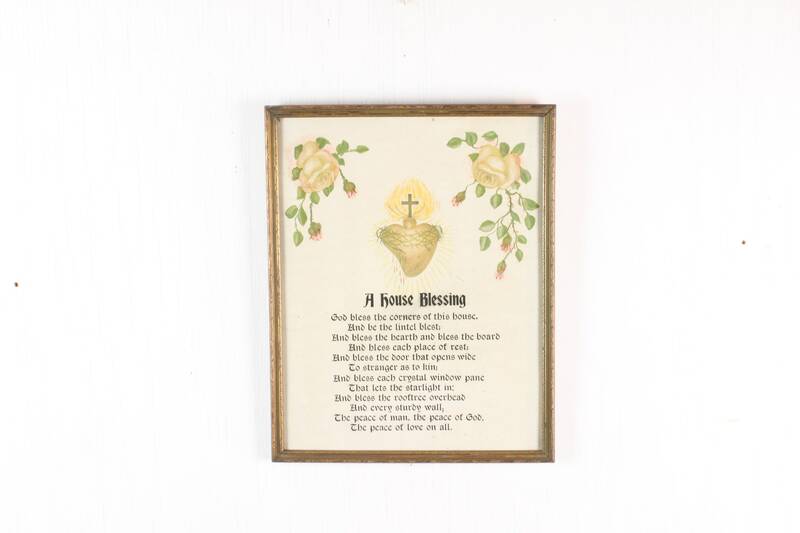 The blessing is framed in a classic gilt frame made in the federal style and with its original glass. 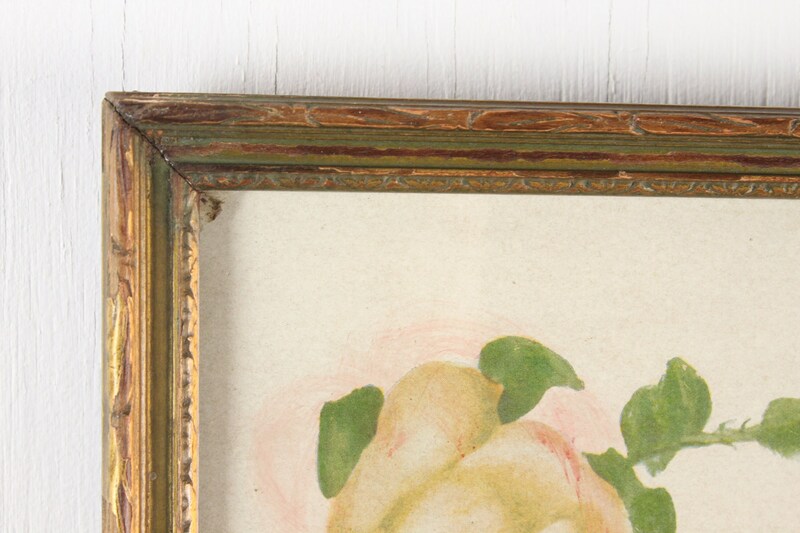 The frame is believed to be original to the artwork. 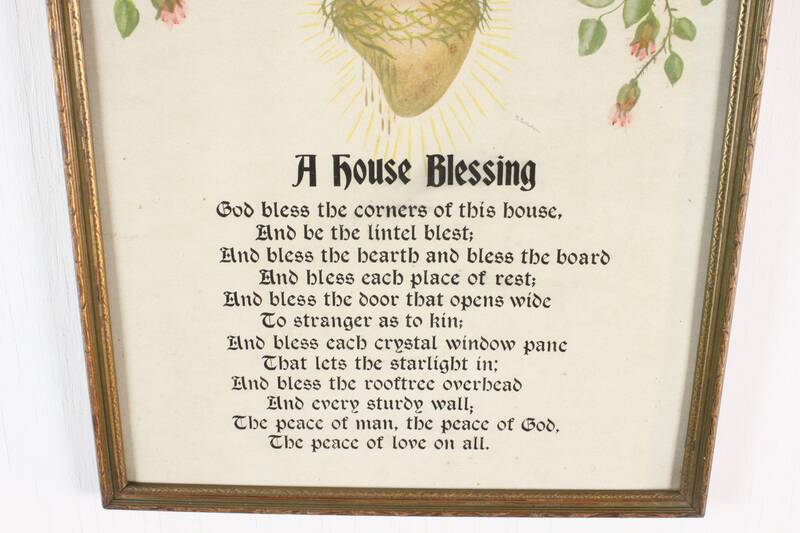 - Blessing "God Bless the Corners of this House"